William Charlton-Perkins reviews the opening Winter Season concert of the KZN Philharmonic Orchestra’s 2018 Word Symphony Series on June 7, 2018). The KZN Philharmonic’s past several symphony seasons have seen Daniel Boico, the Orchestra’s Associate Guest Conductor, delivering infinitely satisfying readings of Beethoven masterworks from the podium. Last evening’s Winter Season opening was no exception, with the maestro leading his orchestra in a riveting account of the Egmont Overture to provide a cracker of a curtain-raiser, only slightly impaired by the less than grateful acoustics of the Playhouse Opera as a concert venue. 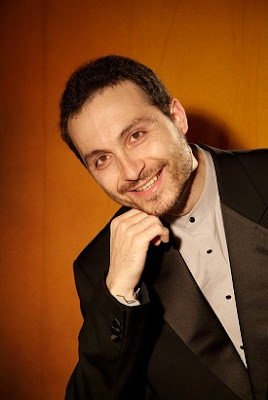 These aural challenges were more apparent in the succeeding piece, Beethoven’s grandly statuesque C minor Piano Concerto, as played with consummate mastery by Antonio Pompa-Baldi. That said, I regret having to record a marked disappointment in the outcome of what emanated from the stage. The superbly accomplished artist had to do battle with the venue’s severely compromised Bösendorfer grand, a beleaguered instrument of many years standing whose faded sonic capabilities were a hark-back to better days long past. That Pompa-Baldi accomplished what he did under the circumstances with Beethoven’s sublimely beautiful work, his consummate pianism dispatched with assured grace and a sense of unruffled dignity, spoke volumes for his remarkable prowess as a musician of great humanity. This endearing gift to his audience was whole-heartedly acknowledged. The rugged scapes of Borodin’s Symphony No 1 in E flat Major as traversed by Boico and his players proved an epic crowd-pleaser in the second half of the programme. The conductor’s appropriately expansive outlook of the Russian composer’s big-boned early symphonic work paid dividends throughout its duration. The richly eventful first movement culminated in an overriding sense of well-being that offset the quickened pace of the second movement Scherzo, melding into heart-stopping interludes for the oboe, and the cellos, with billowing strings and winds going on to evoke a shimmering, gossamer fine filament of quietness. This settled for a while, before the inevitable counter energy of the final movement Allegro molto vivo set in, carrying aloft the wizardry of Borodin’s unstoppable rhythmic pulse.